UPDATE, 4.30PM: A SECOND memorial service will be held in Toowoomba, Queensland for Dolly Everett. Family and friends who are unable to travel to Katherine in the Northern Territory, will remember Dolly at 10am on Saturday, January 13, at Our Lady Lourdes Church. Attendees are encouraged to wear blue, as it was Dolly's favourite colour. EARLIER: THE FAMILY and friends of bullying victim Dolly Everett will come together this Friday to remember and commemorate the life of their much-loved daughter and friend. 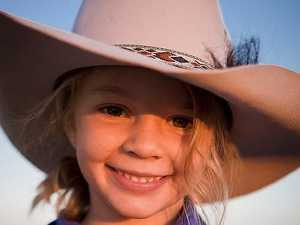 The 14-year-old from the Northern Territory took her life earlier this month. The memorial service will be held in Katherine in the Northern Territory. Dolly was a a boarder at a school in southwest Queensland. She was formally a face of the Akubra brand, which took to Facebook to share its heartbreak. The brand called on people to #doitfordolly, urging its followers to be kind and to reach out for help. 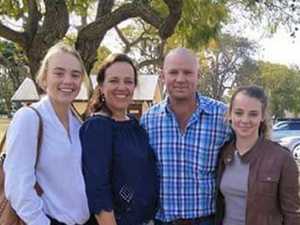 Dolly's father earlier shared his grief in a Facebook post calling for an end to bullying. "If we can help other precious lives from being lost and the suffering of so many, then Doll's life will not be wasted," he said. People across Australia responded to Dolly's heartbreaking death, sharing her story on their own social media pages. 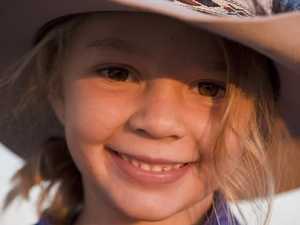 Earlier this week Craig Eastell from an outback station shared a video about bullying, which has been shared on social media thousands of times. Social media has erupted with people across the country showing their respects to the teenager and spreading the message about the effects of bullying.